Directed by George A. Romero and written by Stephen King Creepshow was released in 1982 it is quite possibly the best writing and directing duo to ever team up, with the stunning visual effects from make-up master Tom Savini. Creepshow has a little something for every horror fan and things for those who care nothing for the genre. George A. Romero is as always an excellent director with his 8th feature film. Stephen King out shines himself once more with this absolute wonderful take on two of his own stories and three made especially for this movie, and it very well may be the perfect display and tribute to 50â€™s horror comics. The acting on this film was definitely superb from acting greats such as, Ed Harris, Adrienne Barbeau, Hal Holbrook, Leslie Neilson, Ted Danson, Gaylen Ross, and even the master Stephen King himself play the lonely Mr. Jordy Verrill. 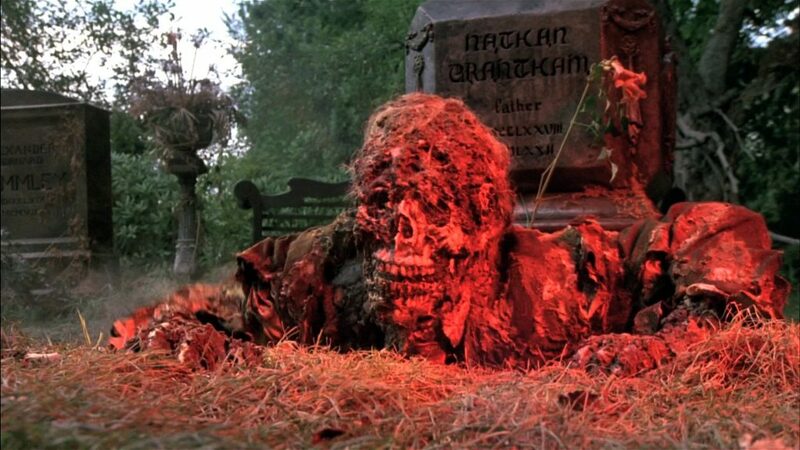 So don’t miss Creepshow, it’s a screamer. The story of a family gathered together on father’s day to remember their late father who was truly a haughty controller. With the guest all gathered for the celebration one final unexpected guest arrives to surprise everyone. The story of a man who decides to rid his life of two people in a very creative way. Using the ocean as his accomplice the man retreats to his home unaware of what wet works is about to befall him. The story of a man with an abusive and controlling wife comes to the aid of a friend the professor of a local college who has come across a mysterious crate under the stairwell. Opening the crate is as opening Pandoraâ€™s box, unleashing its own hell upon those around it. The story on a lonesome man who finds a meteor in his backyard, hoping to make money from this marvelous find Jordy accidentally breaks it open. What will Jordy do, as the liquid from within the meteor causes a green grass like substance to grow over anything it touches. Find out what Jordy will do with his newly acquired miracle grow.